RUNNING BLIND - THE BOOK! Blind athlete Rob Matthews, achieved more in his life than most people ever dream of. 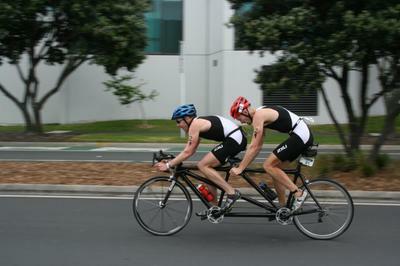 He competed in seven Paralympic Games. He set 22 world records, won 29 Gold medals (plus 15 Silver and Bronze medals). He was awarded an MBE by Her Majesty the Queen for Services to Sport for the Disabled. In 2009 he published his autobiography ‘Running Blind’ (the first book in the world to be published in braille and paperback the same day) and was a successful Motivational Speaker. On the 18th October 2014 he was inducted into the English Athletics Hall of Fame with greats such as Sir Roger Bannister, Lord Sebastian Coe, Daley Thompson, Linford Christie . Rob passed away in April 2018 after a brave battle with brain cancer. 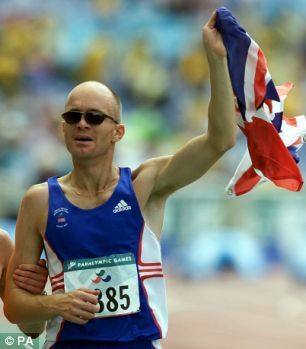 Rob Matthews was British born with a degenerative eye condition and was totally blind from the age of 20. 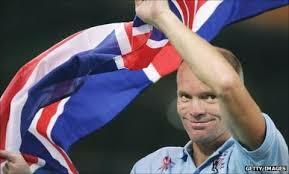 He competed for 23 years for Great Britain before moving to New Zealand with his kiwi wife Sarah to live in St Heliers. 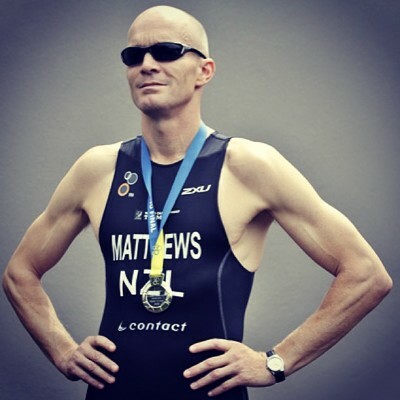 Rob continued to compete internationally in Marathon running, Paralympic Cycling and Para Triathlons although he said his greatest acheivement was found in the birth of his two children in New Zealand. Rob was an inspirational and keynote speaker around the world. He was a confident straight forward speaker whose humor, tenacity and experiences in dealing with his blindness motivated and inspired his audiences to feel they could achieve their goals and targets. Through my life there have been people who have told me what I won’t be able to do because I am blind. I would like to thank them as they have been a source of inspiration to me. When I am told I won’t be able to do something I think to myself. “Just watch me”. I have become the fastest blind man in the world. Raced internationally as a Para triathlete and cycled around many countries. I truly believe there is no boundary to what you can achieve in your life if you set your mind to it. It is simply your attitude that dictates the outcome’.